Home / The Shrink-Rap Book Shop / Books for Children / How to Bust the Worry Warts. This book is available in eBook and Paperback formats. 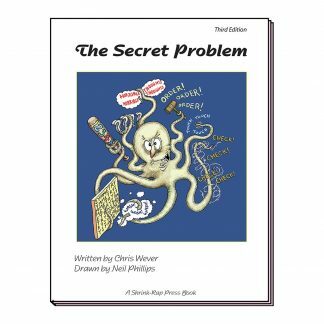 How to Bust the Worry Warts was written by Chris Wever and drawn by Neil Phillips. Both Chris and Neil are consultant psychiatrists. 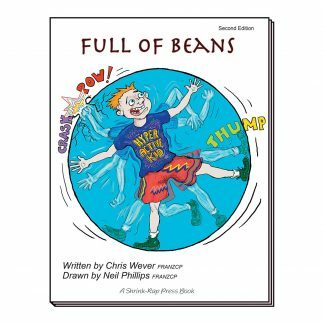 They created this book to help children who experience unnecessary, exaggerated and terrifying worries. 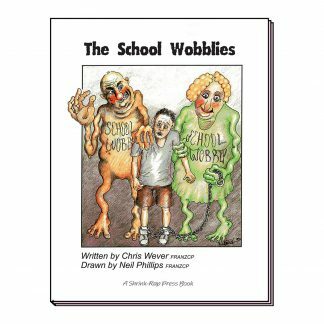 The book features Worry Warts who float around making mischief by pushing useless, painful and ridiculous worries into the minds of children which causes them to suffer and lose confidence. Every idea in the book is illustrated with a cartoon. Cartoons help children understand what is happening and that helps recovery. They also encourage children to use the power of their own imaginations to invent ways of chasing the Worry Warts away. One of the main aims of the book is to show children how to sort real worries from Worry Wart worries. In the book this is done by a cartoon style “worry-checking machine”. The machine tips Worry Wart worries down the drain and keeps the real worries to be discussed with a trusted adult. The “Fearsome Hound of Panic” is the Worry Warts&apos; secret weapon. It appears late in the book and, although it is a terrifying beast, a child can learn how to turn it into just a whining “Panic Puppy” by applying the relaxation, mindfulness and imagery techniques learned from a counsellor. On the last page, two Worry Warts are shown sneaking back and hiding behind a rock. However, a boy uses his “Worry Wart Detector” to find them. He busts the Worry Warts early and gets rid of them before they can settle in again. Many ideas in the book are quite complex and most children should read it with the help of an adult. Adult involvement serves to start a useful conversation about excessive worries and a parent, teacher or counsellor can then help solve real worries and encourage a more open and adventurous approach to life. Full of Beans The Secret Problem.